I had the chance to go to Bump Club and Beyond’s event called Gearapalooza. I had heard it from someone and thought it would be a great chance to see products and add to my wishlist, or at least the “keep an eye on” list. 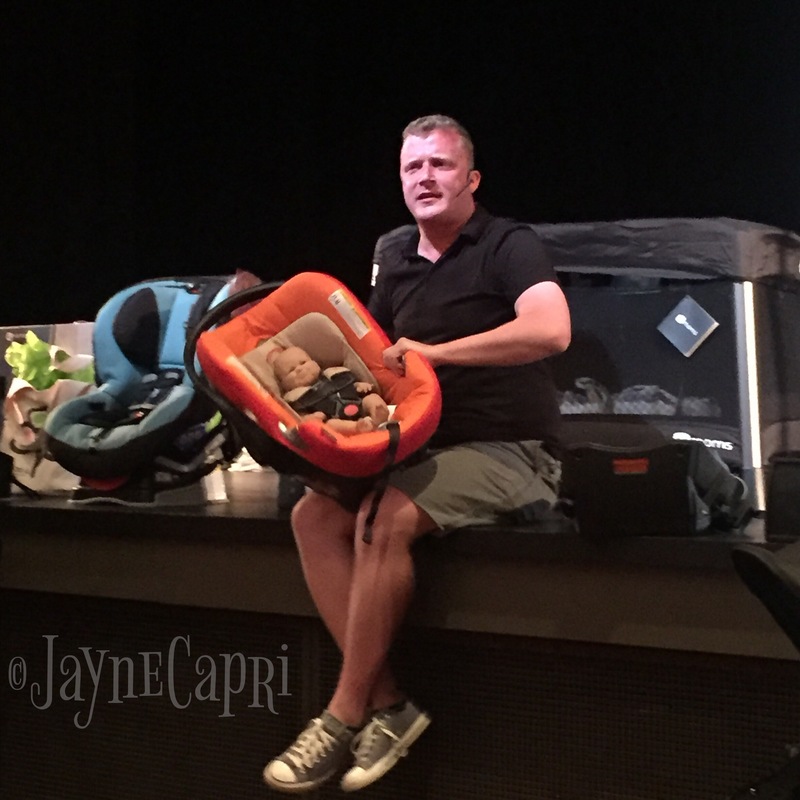 I was expecting it to be a little bit like the Session with Jaime Grayson, theBabyGuyNYC like at MommyCon, but it turned out to be so much better. Tickets are $50 per attendee and you get a gift bag at the end filled with stuff worth over $150 and a light dinner at the event. 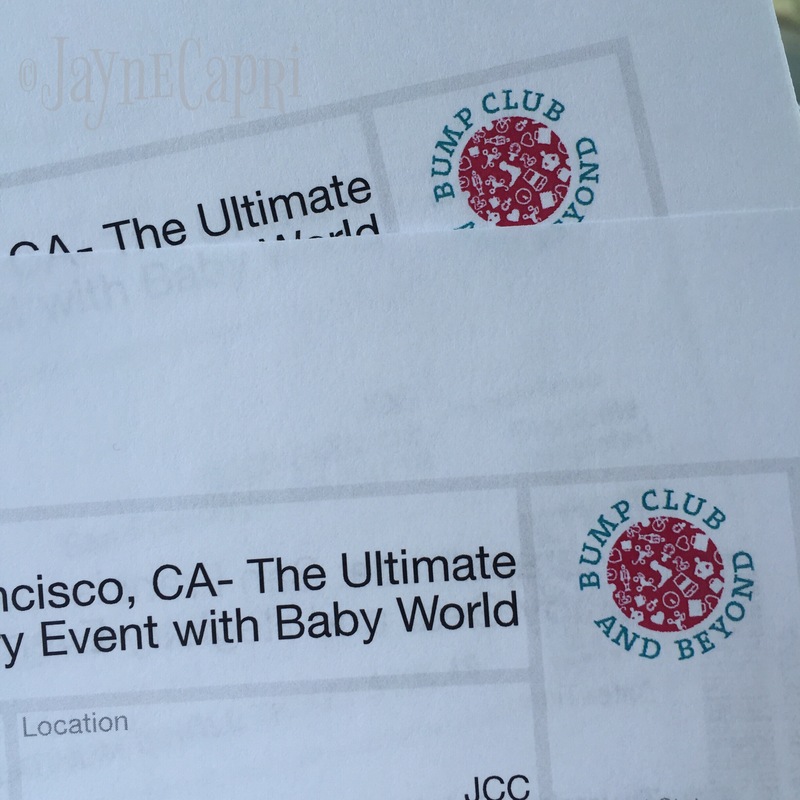 If you upgrade to the platinum ticket, its $100 and includes a Beco Baby Carrier which is usually over $130 for the carrier alone. We ended up purchasing 2 Platinum Tickets, to get two chances at prizes, and two gift bags filled to the brim. There is also a $6.49 processing fee for the higher end ticket, or half the price for the regular ticket. The space for the event was a lot more intimate and the best part is that the sponsors for the event were all there to represent their products. 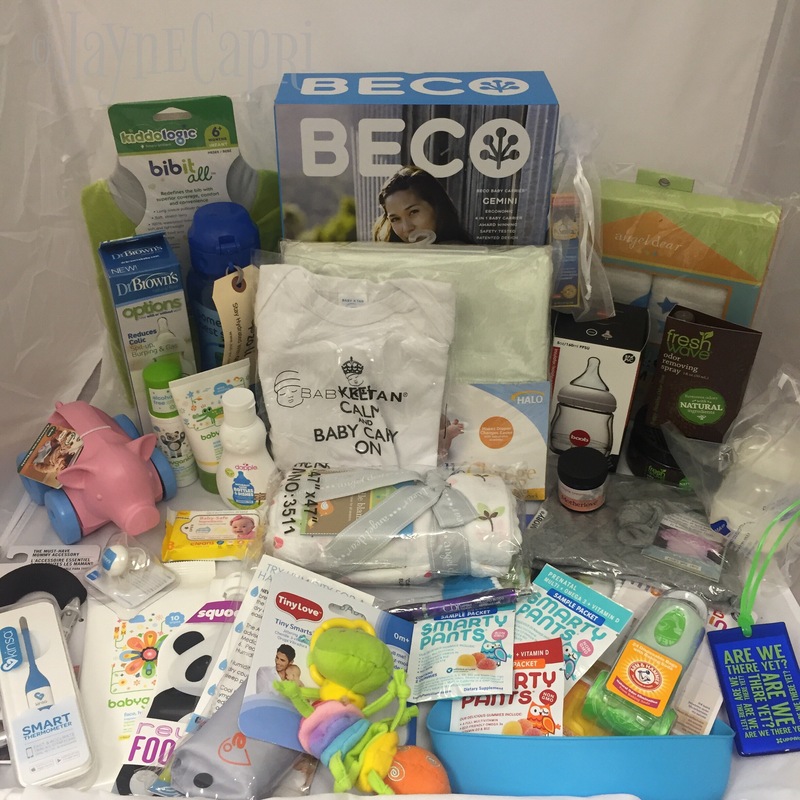 Although it did not draw in all the big names like MommyCon does, it did bring in some smaller local brands which I thought was awesome. The chance to interact with the brand’s representatives was also great. Some of the brands didn’t have paid representatives, but instead had actual ambassadors who were fans of the company. I really loved knowing that Beco was being represented on a different level with ambassadors who were local and came up because they actually love the brand itself. There also is the added benefit of local pop up vendors who are building a fan base being at the event, which other Gearapalooza’s don’t have. Instead of receiving a goody bag at the end of the event filled with all the stuff from sponsors that you didn’t even know were sponsors, Gearapalooza offers you the chance to walk around the exhibit with total access to all the vendors and even the sponsoring retailer. Those vendors also hand out info guides and show you exactly how the product works. There is a bigger sense of community at this event, as multiple people can gather around the table and ask all the questions and try the product out. I was able to even stump a few of them with questions I had, which meant I had to Google later. While walking around, you have a lot of access to vendor hand outs and goodies like onesies and samples. I was able to gather a good number of pamphlets for brands that I was genuinely interested in, which helped me be able to read about them later when I was really considering adding them to my wish list. Gearapalooza though, is really about the chance to hear it straight from Jaime, who presents you with a break down of all the brands that were represented and more. You get to see the comparison between strollers, car seats, and a break down of what might fit your needs. I learned some interesting facts about breast pumps that I didn’t know about before, and I think he blew all of our minds about Medela. There was a lot of comparison between the sizes and uses for each brand, and the nice part of the whole experience was that you had the opportunity to interact with Jaime live and ask questions about what might be suited for your needs. 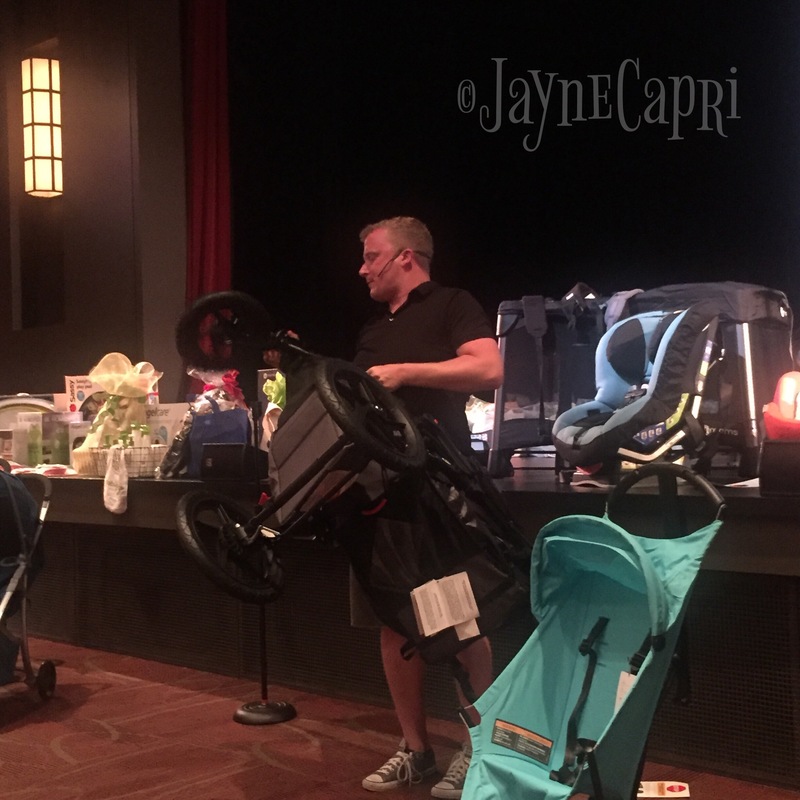 “Which stroller would work best for me for this situation, or what car seat is going to be best now that we are welcoming a second child”, were all commonly asked questions that I see online and then were answered right there on the floor. 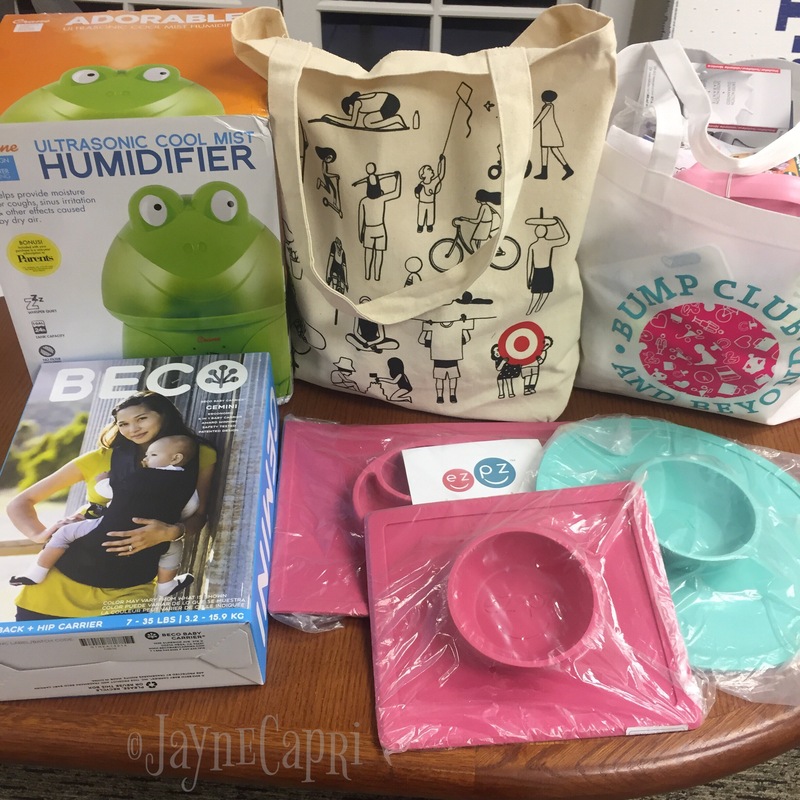 It was more than just the big items though, there were many other smaller items that were also featured, from the breast pump and bottles, to the toddler feeding and even toys. Everyone’s favorite part of the whole experience is most likely going to be the giveaway. 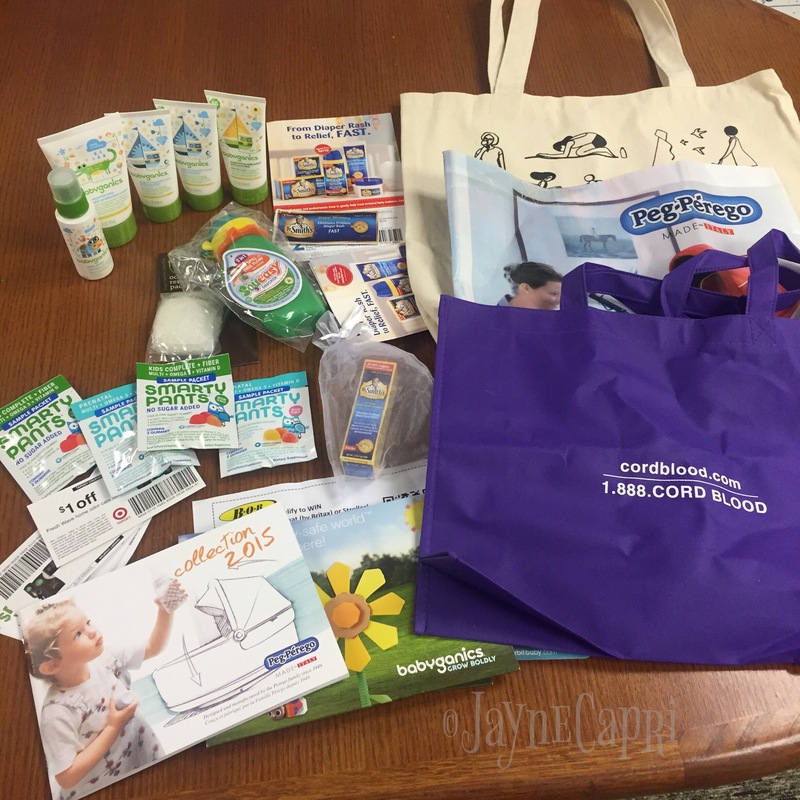 Every item that was reviewed and more, was given away at the event. All the strollers, car seats, carriers, toys, play pens, EV-ERY-THING, was given away. Thousands of dollars in prizes. My friend and I were both able to walk away with small prizes, and there is a chance that you don’t win something big, but there is also the chance that you can. The price of the ticket for the event is definitely worth the goody bag you get at the end and the chance to win a huge prize package. The light dinner they serve is not really anything special, and you won’t be getting full off of it. It’s also not pregnancy friendly, as most of it is sushi and sandwiches which are deli meat. So if you’re going to go on a girls night like we did, eat first, you will be hungry. I had a little something, but it wasn’t enough to not make me H-Angry by the end of the event. Jaime Grayson is a hoot to watch and you will be laughing the whole time. He really has taken all the trainings, and he really knows his stuff, so you are guaranteed that your experience will be a great one when it comes to asking him questions about fitting your family’s needs. I would recommend that anyone who is looking for a good time for both Mom and Dad, and is planning for a new baby, will get the most out of this event. If you’re looking for more information, like I always am, its also a great experience. Even if this is not your first, if you are pregnant, you are going to really enjoy this event as you plan for the logistics of another addition to your family. Everything from new car seats to the kickboard for a stroller are discussed. Come with questions, I think Jaime Grayson thoroughly enjoys answering them. Also come with an open mind, this is not your standard BabiesRus bargain event, you will see the top of the line, and if that is the kind of stuff you’re interested in, than this is for you. But if you’re looking for the bargain brand, give it up, its not going to happen at Gearapalooza. 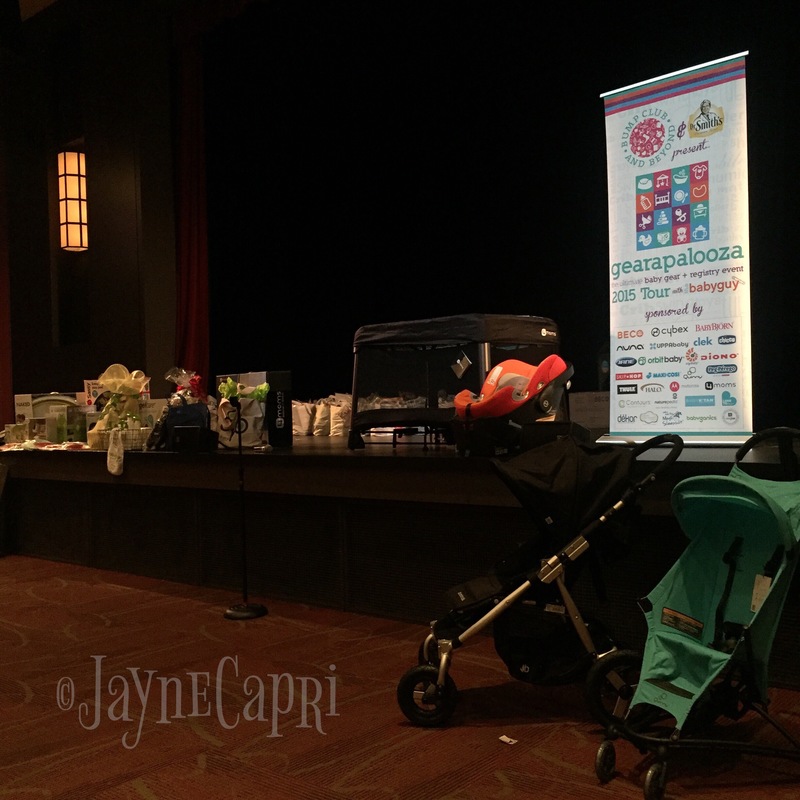 I definitely give this event 5 stars our of 5, because I had fun, my best friend who isn’t even close to having a baby anytime soon had a blast, and we walked away with lots of giggles and lots of SWAG. If anything, come for the laughs. I am a big fan of Jaime Grayson, which was a driving force for me to attend this event, but I was really blown away by organization, ease of parking, communication, and vendor approach to this event. It was informative, it was funny, it was a definitely Town Hall experience of asking questions, and intimate enough for everyone to really get something out of it. Way to go Bump Club and Beyond, this was done very well, I was not expecting this kind of success. Five Stars! Previous Taste Test: Anything and Everything… Lactation? Hi. I wanted to know if everyone with a raffle ticket wins something, even if it’s small. Or do some raffle ticket holders go home empty handed from the raffle? Thank you for the information! Hi Christina, not everyone wins something, but majority of people do.